Assisting companies in finding their ideal location, the Kaufman team designated to the Madison Square Portfolio will work with you to coordinate each step in the process and will provide the representation you’ll need. The first step to our leasing process is understanding the tenant’s requirements and real estate needs. This begins with assessing the company culture and universal vision. Company culture changes over time. As a company matures from a startup to an established company, the company culture will change. When a company changes the environment or location, the company culture may also change. An organization’s growth potential depends heavily upon its leadership’s expectations for success and planned movement into new markets. A critical factor in gauging growth potential is assessing an organization’s future ability to generate larger profits, expansion of its workforce, and increases in production. When moving to a new location or renewing a lease, future projections of growth will contribute to the size requirement and economic logistics. The driving forces behind a company’s growth are the employees and their dedication to the brand. The well-being of an organization’s workforce is a strategic business imperative that is linked to its performance and success. Employee needs should be addressed in the beginning of the leasing process so as to ascertain specific real estate needs and requirements. Businesses today depend upon the flow of information, both within the corporation and in communications with customers and vendors. In order to maximize the effective space utilization of a company’s technology areas, an analysis of infrastructure criteria should be conducted. As dependency on technology increases, proper grounding and power conditioning become critical to maintaining a suitable environment for network and communications equipment. How an office looks and feels is just as important as what work is going on inside. Office design should serve a company’s needs as well as its personality. This relates to the company culture and is essential in determining space layouts. Office design needs to be functional, yet aesthetically appealing for both clients and employees. During the planning stage, a business is usually concerned with the amount of space they need, properly budgeting for expenses, accounting for growth, as well as weighing the pros and cons of potential locations. As a full-service real estate company, we’re able to help companies with all of these areas. We’ll work with you to define objectives and goals, find an office space that is the right size for your business, complete growth projections, and provide monthly and yearly budgeting reports. You may have a specific location that you’re looking to lease, but it’s important to go into negotiations with several options. We help clients through this step by identifying alternative properties, and evaluating the space, building systems, and relevant security issues. We will evaluate existing market options, providing market analyses, space surveys, real estate scenarios, financial comparisons, and due diligence studies. Once we’ve narrowed down the options to a few potential locations, our team will conduct negotiations with property ownerships and analyze the lease agreement for the selected property. Commercial real estate lease contracts are notoriously tricky documents, which is why finding an experienced broker will save you in the end. An experienced broker knows how to spot potential traps and knows what to ask for to produce a better lease. Our clients will also be presented with a detailed term sheet and financial analysis for each potential space that covers: building profile, preliminary RFPs, due diligence, test fit, landlord risk profile, base building analysis, work letter analysis, furniture selection and construction estimates. With experienced leasing specialists, our team is ready to provide clients with sound advice, while negotiating favorable leasing transactions for tenants and owners alike. Our sole objective is to get our clients the best deal and space possible. It is our reputation, combined with our team’s strong personal relationships within the real estate community that allows us to provide this to each and every client, providing a significant edge in today’s marketplace. If you are considering leasing or re-evaluating your commercial space needs and would like to receive additional information, please feel free to contact us. Often times, clients want a specific layout that matches the needs of their business. We’ll work with you and oversee base building improvements, renovations or full-scale build-outs of new space. Our personalized approach allows you to create a customized style and floor plan that suits your business, while still allowing room for growth. 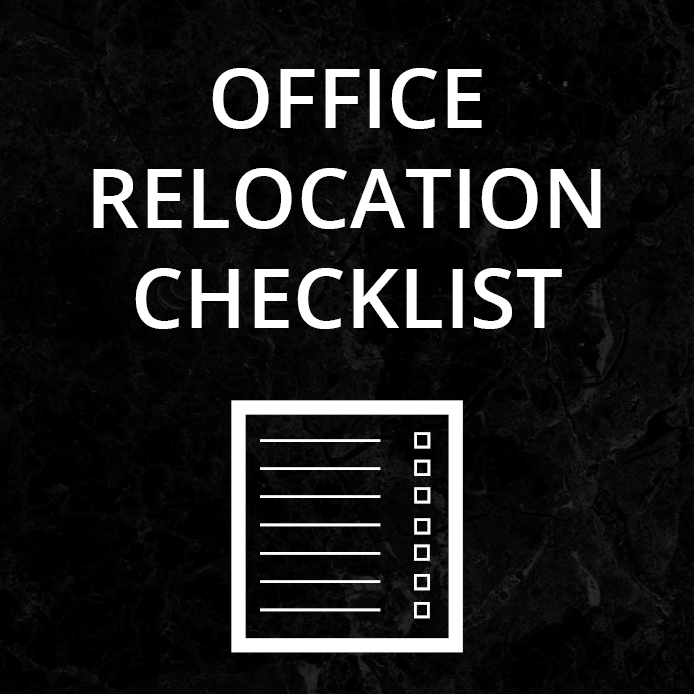 Relocating offices is one of the most time-consuming and stressful parts of finding a new office. There’s a lot you have to consider and it’s easy to forget certain things. That’s why offer everything from closing out your former property to the coordination of move logistics, and oversight of your contractor’s final punch list.